Jean Michel Jarre’s Management have confirmed to JARRE UK, that another date has been added to Jean Michel Jarre’s ’2011′ World Tour, in Ukraine in October 2011. The extra date added is an Indoor Concert in Kiev’s Palace Of Sports, Ukraine on October 14th 2011. For further information about Jean Michel Jarre’s ’2011′ World Tour, please visit Jean Michel Jarre’s Official Web-Site (www.jeanmicheljarre.com). JARRE UK would like to thank Aero Productions for this information. 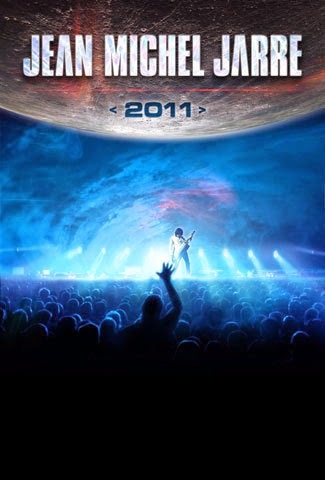 ‘JEAN MICHEL JARRE: 2011′ Artwork © 2010 Thomas Alsina & BDFCK. Used with kind permission.